Welcome fishermen and hunters to O'Sullivans Rainbow. 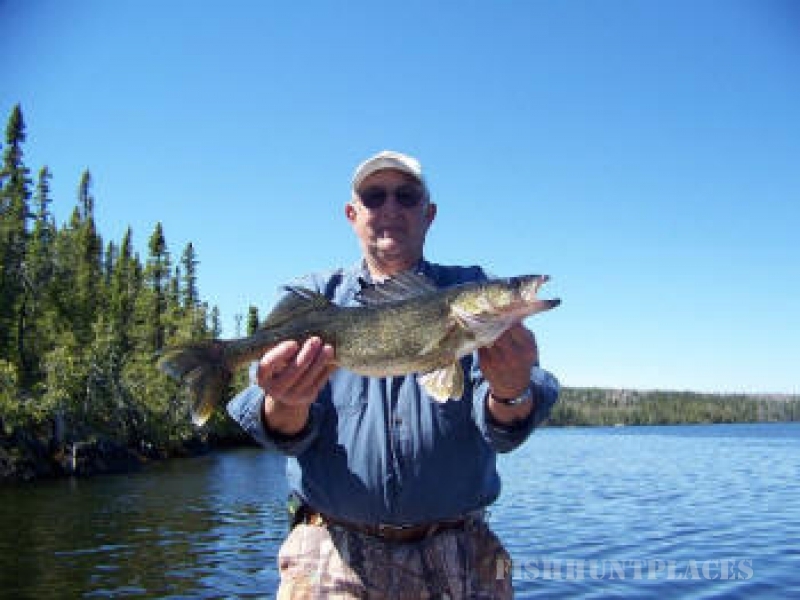 We are located in Northern Ontario Canada. 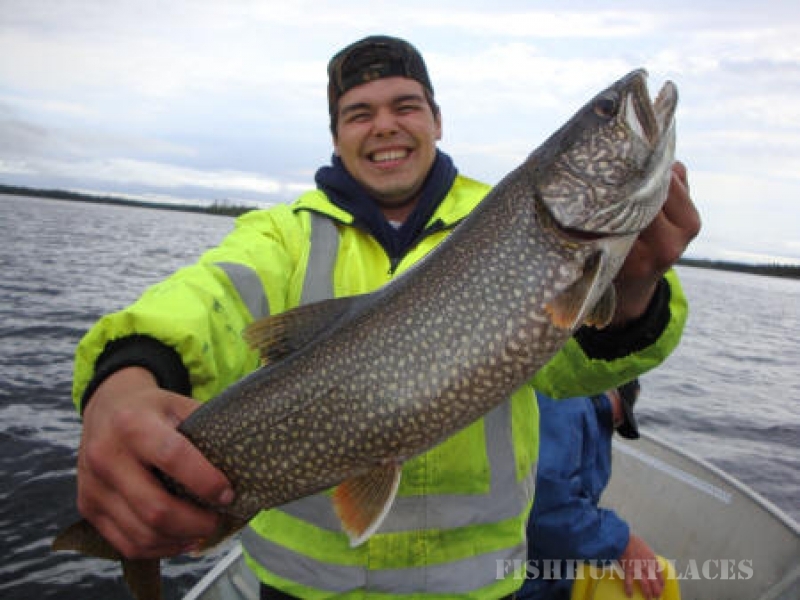 The resort is located in the Boreal Forest 35 miles northwest of Nakina. 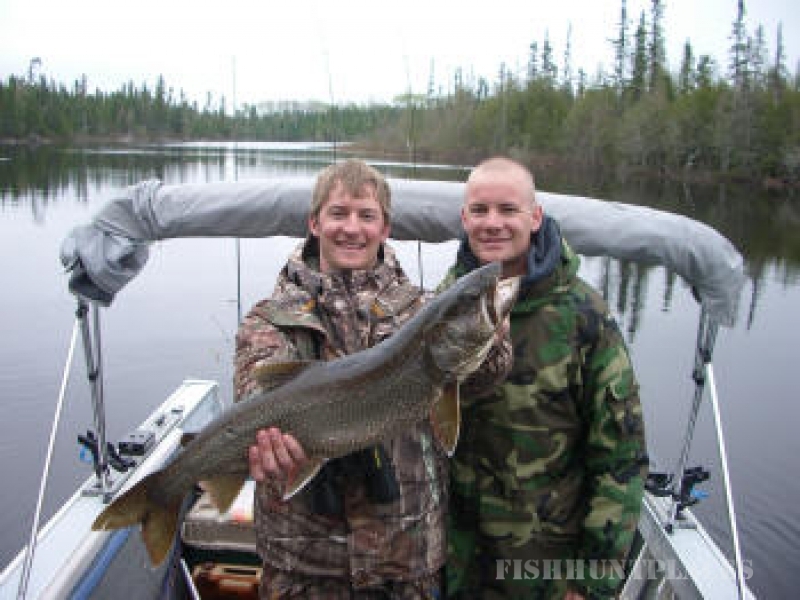 Here at our resort we offer some of the finest fishing and hunting in northwestern Ontario. 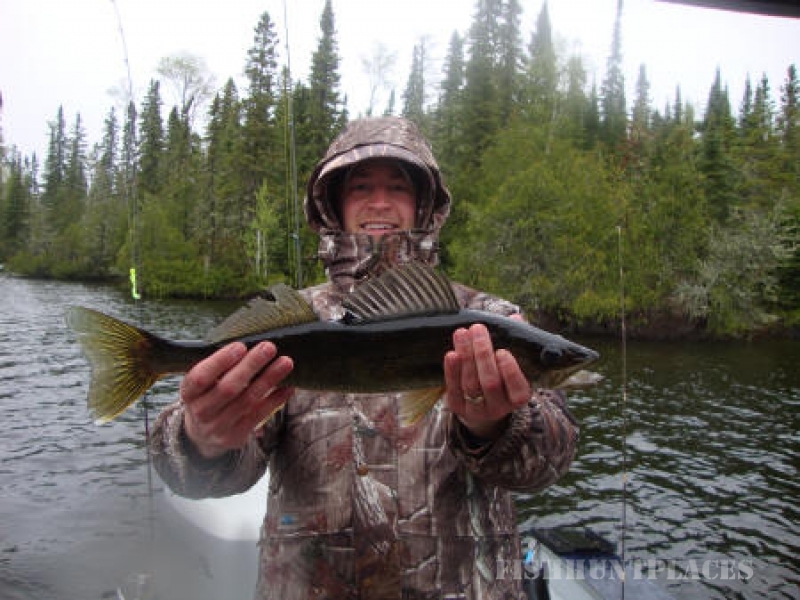 There are six species of fish for your angling pleasure. 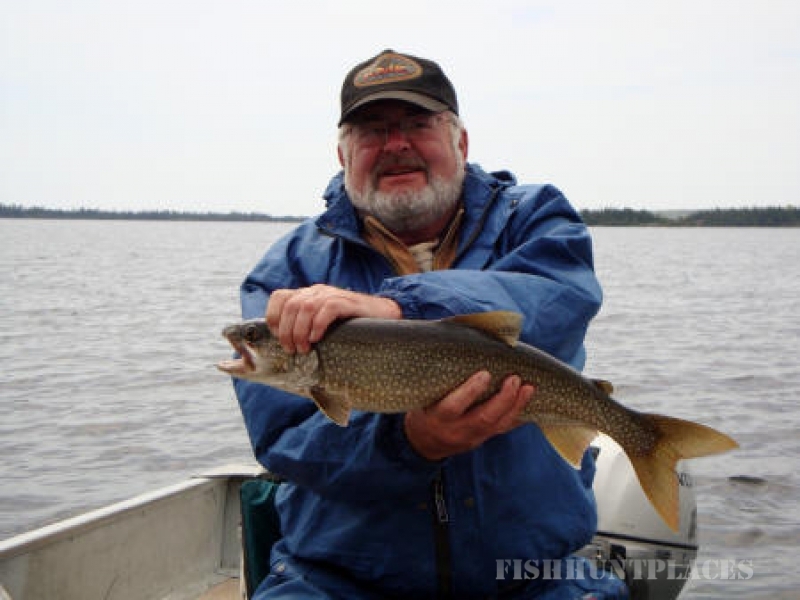 Walleye, lake trout, northern pike, brook trout also known as speckle trout, whitefish and yes even perch. 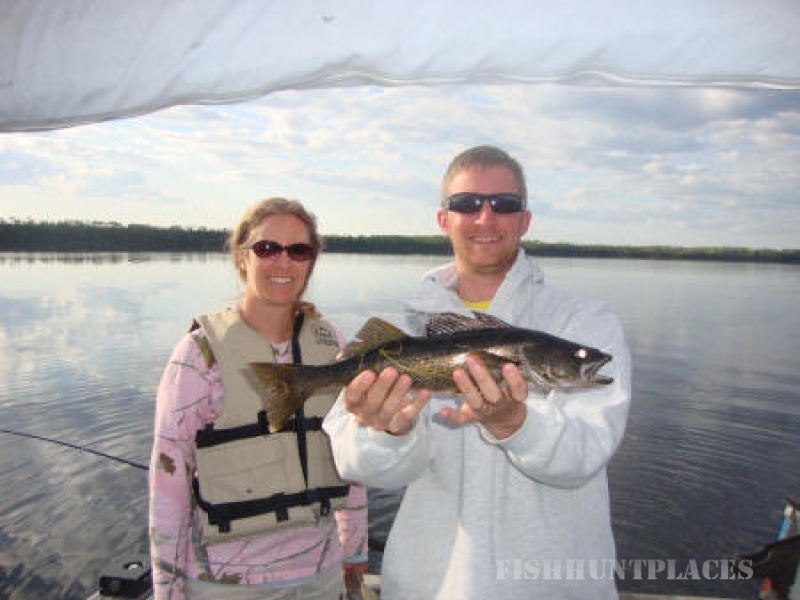 We have fishing packages, hunting packages, as well as housekeeping cottages and campsites. All this comes with friendly hospitality, excellent service, professional fishing guides, and all the fresh air you can breath. 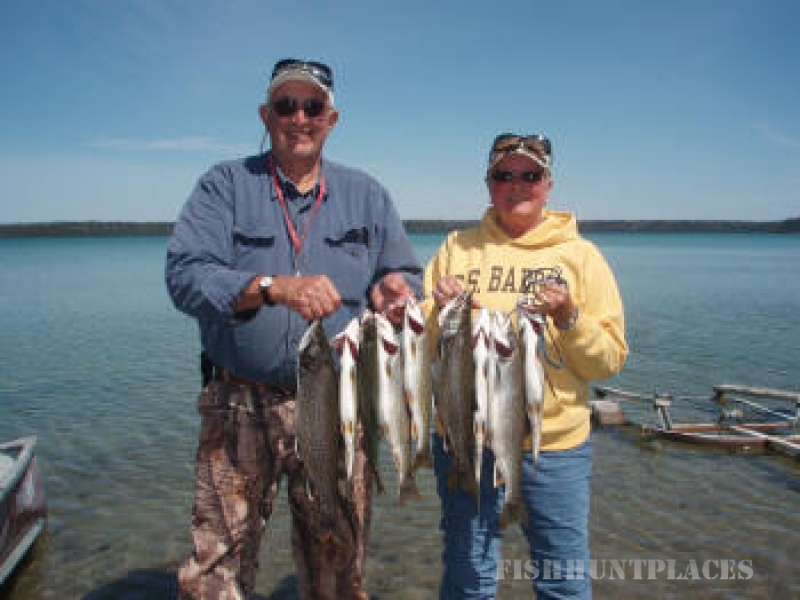 So whether you are fishing for trophy walleye, or that monstrous trophy northern pike, or just looking to relax with family and friends, you will find the action at O'Sullivan's Rainbow is not only a fishermen and hunters paradise, it's a wilderness experience and an explorers dream. Remember that we also offer black bear hunting with bow or gun and an archery moose hunt. 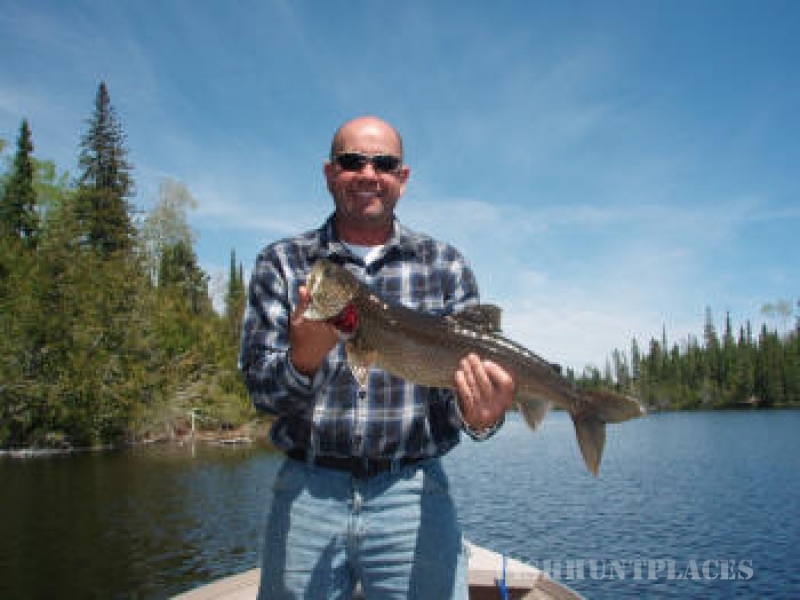 O’Sullivan Lake & surrounding waters have all the right ingredients to produce some of the finest Trophy waters of Northern Ontario. 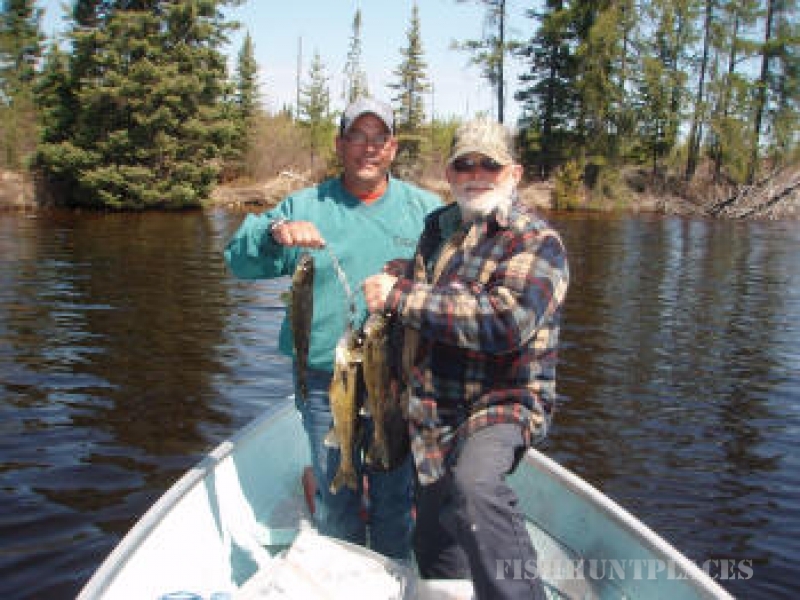 Six varieties of game fish have made these waters just about as flexible as inland lakes can get. 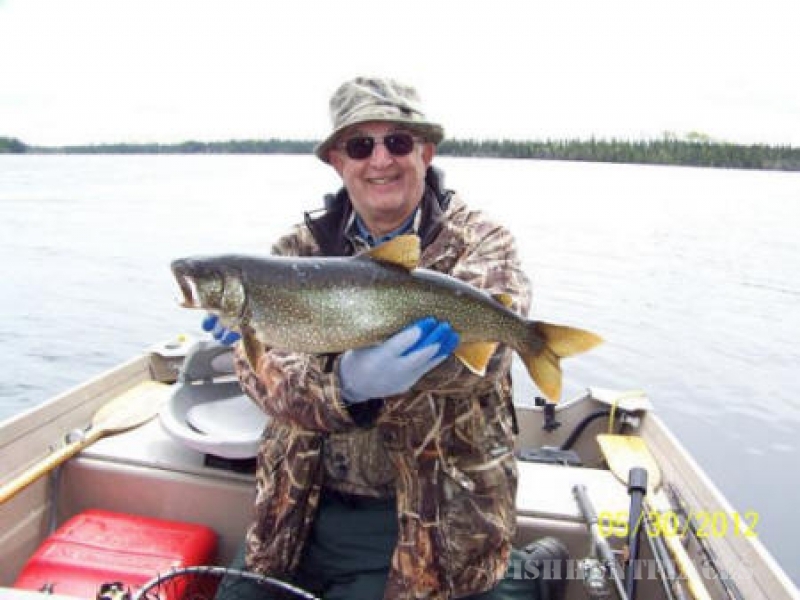 Imagine fishing for Walleye, Lake Trout, Perch, Northern Pike, Whitefish, and the elusive Brook Trout, all in one day! 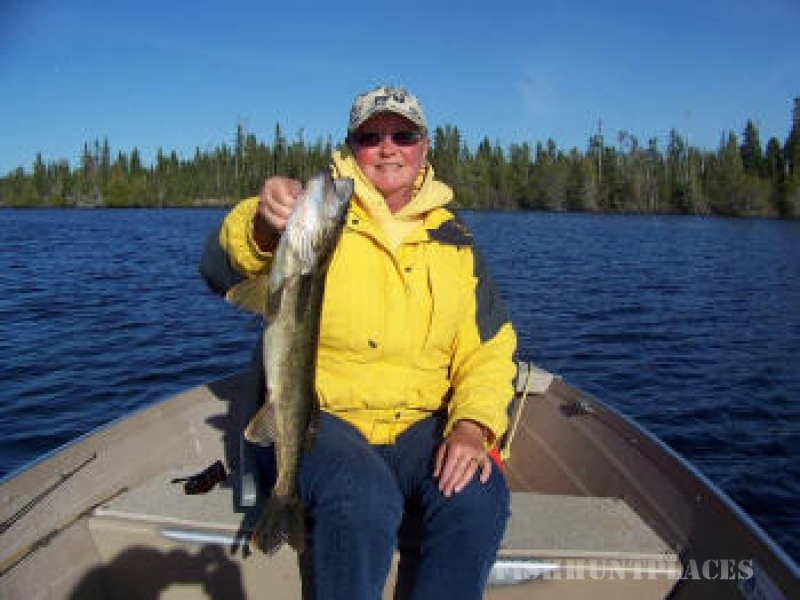 No portaging, or dragging of boats needed.Not only will you enjoy the unbelievable structure of this marvelous body of water, the lonely shrill of the loon, and a breath of clean air, but you will catch fish... good fish... we guarantee it!